Is your health system prepared to meet patients everywhere they’re searching for health information? A year and a half ago, Yext conducted a survey of 1,000 patients who had gone online to find a physician, hospital, or other healthcare provider in the past 12 months to learn how they search for — and make decisions about — providers. In January 2018, we conducted two new studies: one follow-up to our previous study, and one with a focus on how voice and intelligent systems are changing how patients are finding health information. 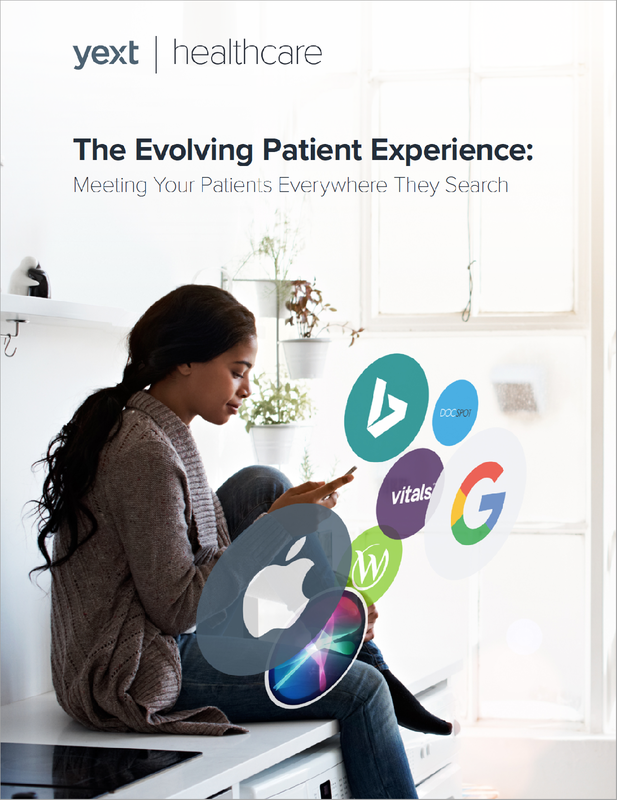 Get your copy of this new report to see the full results of our Patient Search Behavior Survey and learn what changes you need to make to ensure that patients have all the necessary information during the moments that matter, across all platforms and devices, everywhere they search. Fill in the brief form and download your copy now.